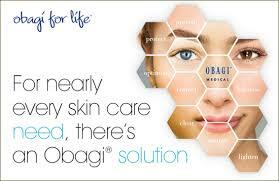 “Obagi for Life” is the commitment to a lifetime of beautiful, healthy-looking skin. The most popular line from Obagi is the Nu-Derm system, clinically proven to help correct and improve signs of skin aging, their #1 skin care system is specially formulated to transform your complexion for beautiful, healthy-looking skin. To find out which products will work best for you, stop by the Med Spa we’ll help you choose the perfect system. Makeup that does more. Colorescience is a premier luxury mineral makeup line that includes high quality ingredients, pure mineral formulations, sun protection and luxury colors with a focus on simplicity of use. Come by the Med Spa any time for a complimentary makeup consultation and application. This exceptional line of products includes eyeliner, eyebrow mousse, eye shadow primer, and mascara. Blinc products are waterproof and smudge-proof making them an ideal choice for every day wear and travel. Latisse solution is the first and only FDA approved prescription treatment used to grow eyelashes, making them longer, thicker, and darker. 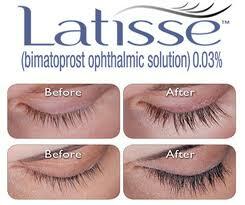 If you would like to learn more and see if Latisse will work for you please stop by the Med Spa for more information. Clarisonic is unlike any other spinning device, the patented sonic cleansing technology works with the skin’s natural elasticity, oscillating at a sonic frequency that produces over 300 movements per second. The resulting flexing action works to loosen dirt and oil, removing deep-seated impurities from pores and priming skin to better absorb topical treatments.